We have completed over 20,000 jobs since 1936! Quality, long-lasting driveways is the B.R. 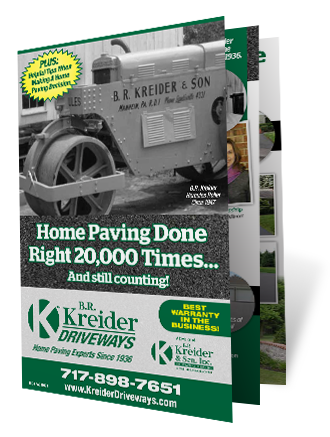 Kreider Driveways signature on thousands of residences throughout Lancaster, Manheim, Lititz, Hempfield, Hershey, Elizabethtown, Lebanon, and the surrounding areas in Central PA.
You want the paving of your driveway done right and done right the first time – which is how B.R. 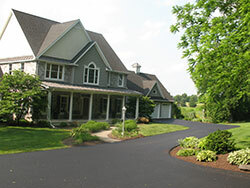 Kreider Driveways has satisfied homeowners since 1936. Our team of experts will guide you through every step of our process, using our experience, expertise and state-of-the-art equipment to deliver a driveway you’ll be proud of for many years to come. We encourage customers to compare our capabilities with our competitors. Below you will find a a link to download a PDF of our Paving Checklist showing key aspects that should be compared. The B.R. Kreider Driveways’ approach begins with a professional assessment of your driveway needs, followed by a fair and accurate quotation with a bottom line price you can rely on.